The frame's dimensions can be identified by simply dropping the frame into the self-centering table and measuring the frame PD and both monocular PD. Checks accuracy of patterns and finished lenses. 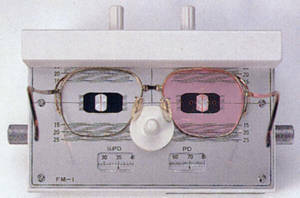 Pinpoints the optical center or boxing center on the frame eyeshape. 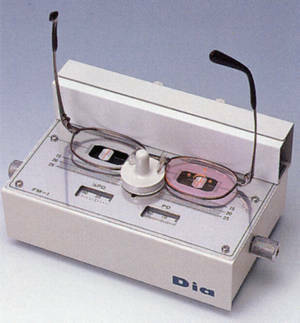 Ensures the perfect lens placement of any single vision, bifocal or multifocal lens.